​From here on in, we can just use conn to call this functionality. Hint: This will either create a new database or load an existing DB. Hint 2: You can choose any file extension you like. On Windows SQL might be better. Functions enable us to break up code in a program. This is very useful for our Database. Please be aware that if you want variables to pass between functions then this needs some extra code. We do not need to pass any variables, so this is all we need. Remember all the data is going to be in our database. This command is important, because even if Python crashes it ensures that the file gets closed properly. This command includes both Python and SQL. The part inside the speech marks is SQL. id INTEGER PRIMARY KEY - This creates an automatic primary key to ensure every record is unique. This is the simplest way to add data, just type it directly into your Python program. (Name,TopSpeed) - These are the fields we want to add. Remember the primary key will take care of itself. VALUES('Porsche 911 Carrera 4s',185) - These are the values we want to put into the row. Just remember this is still Python so Indentation is important! Also remember you can only MAKE a database once, so if something goes wrong you may need to use the file manager and delete the database. Challenge: Add your own car! 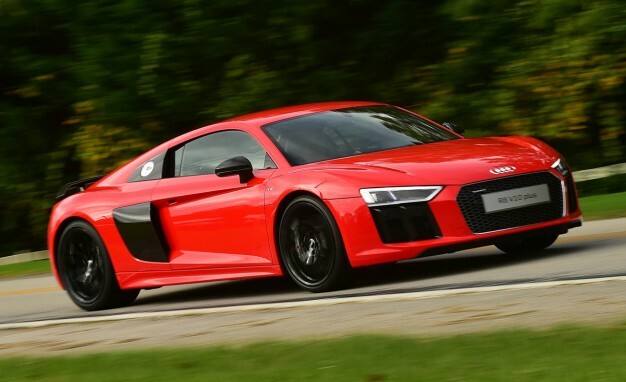 The next fastest car is the Audi R8 and its top speed is 187.